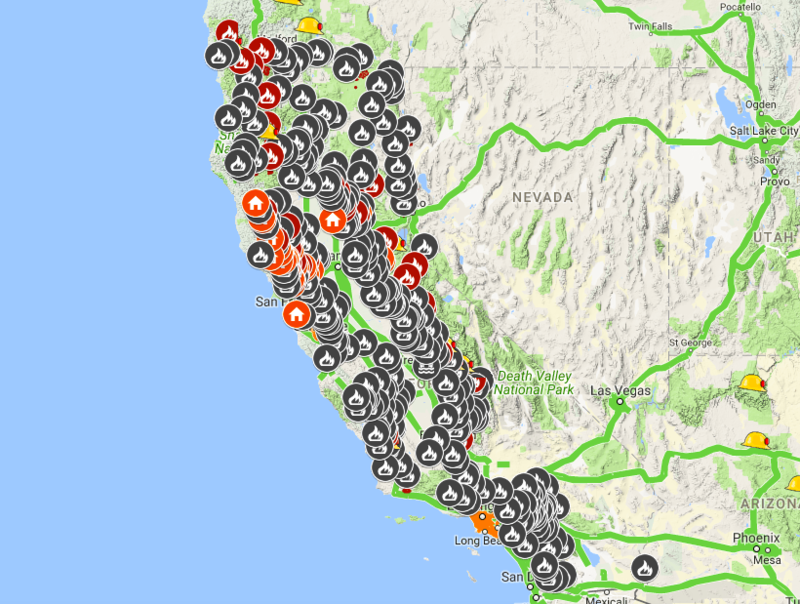 If you pay any attention to the news whatsoever, you know that California is being ravaged by fires–and we mean, the entire state. 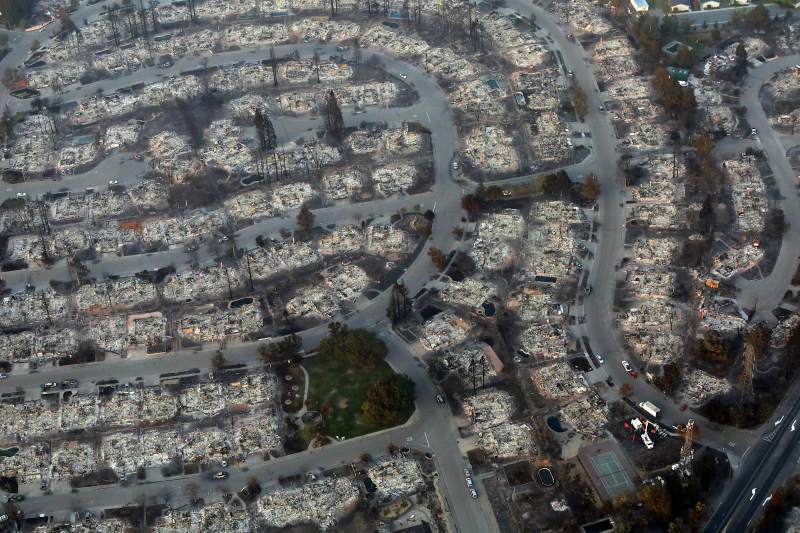 As of this morning, 31 have died, thousands of residents have been destroyed and hundreds of thousands of beautiful California acreage is destroyed. Despite the fact that more than 8,000 firefighters are working together to contain the blazes, the inferno is simply too overwhelming. For many people, it’s beginning to seem like the only way these fires will cease or move on is in their own time. Which is precisely what the fire that surrounded Jan and John Pascoe’s home in Santa Rosa did. When Jan (65) and John Pascoe’s entire world went up in flames, Jan was hyperventilating in fear. At 10 p.m. on Sunday night, the couple climbed into bed feeling secure in the knowledge that the fires would not reach them. According to Jan, Sunday night was like any other October night in California: beautiful, clear, and brisk–not too hot and not too cold. She checked her tomato plants and showered before climbing into bed at 10 p.m. Shortly after, their daughter, Zoe Giraudo, called. “I think you guys should evacuate,” she warned her parents. She had just received news that her father-in-law’s entire neighborhood had burned down in Napa Valley, not too far from Santa Rosa. But the fire was 11 miles away at the time, according to the Pascoes, and they had yet to receive any official alerts. 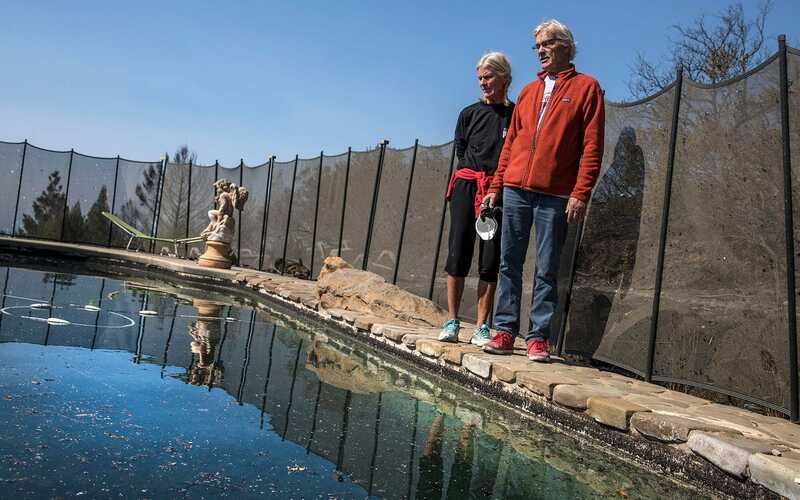 They assuaged their daughter’s fears, but just to be safe, John (70) went and grabbed two Dale Chihuly glass bowls that he inherited from his mother and a few of his paintings and put them in his truck. They went to bed. Jan was wearing a thin tank top and pajama bottoms, John just a t-shirt and boxer shorts. She grabbed their 17-year-old cat and got into her car. John climbed into his truck. Both raced down their long California-style drive way and stopped short. There was nowhere to go. Right before them, at the bottom of their drive and blocking all access to an exit, was a wall of flames. They drove back up to their house but knew that even there they were not safe. The winds wouldn’t let up and the red glow of the flames was getting closure and closure. Somewhere between panic and near hysteria, they remembered their neighbor’s pool. They called the 911 dispatcher just to be sure that jumping into a pool in the midst of an inferno was a good idea. The dispatcher warned them to do whatever they could to stay alive. They went for it. At first John and Jan thought they may not to have to jump in. In mid-October, the water was freezing and they were wearing only what they went to bed in. They stood at the water’s edge, debating the merits of getting in versus the merits of staying out. Then the neighbor’s house caught fire, and a giant tree next to the pool went up in flames. The railroad ties lining the pool’s steps caught fire. The heat was unbearable according to John. They jumped in. And that’s where they stayed, for six excruciating hours. When the tips of the sun just started to reach the horizon, the worst seemed to finally be over. 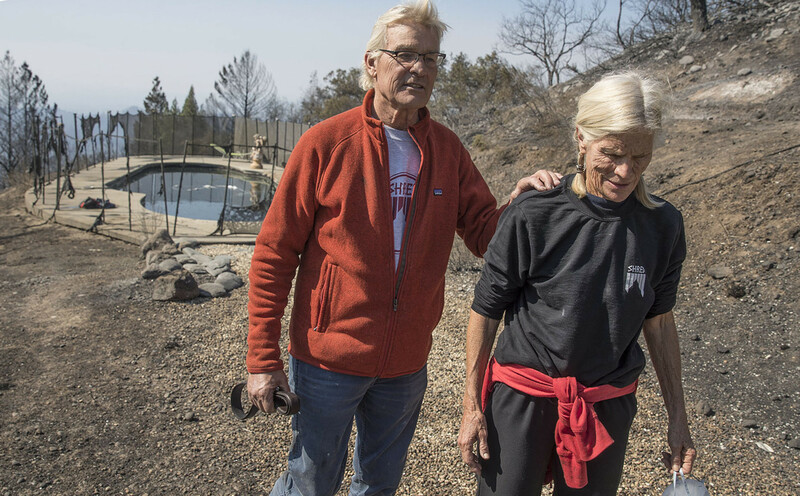 The couple climbed out of the pool and John slipped on Jan’s melted shoes–which she had left by the side of the pool with her cellphone tucked in one (her cellphone had melted)–and picked his way to the top of the hill to where their house once stood. Everything was gone–the home, the pickup, his mother’s Chihuly bowls. Everything. 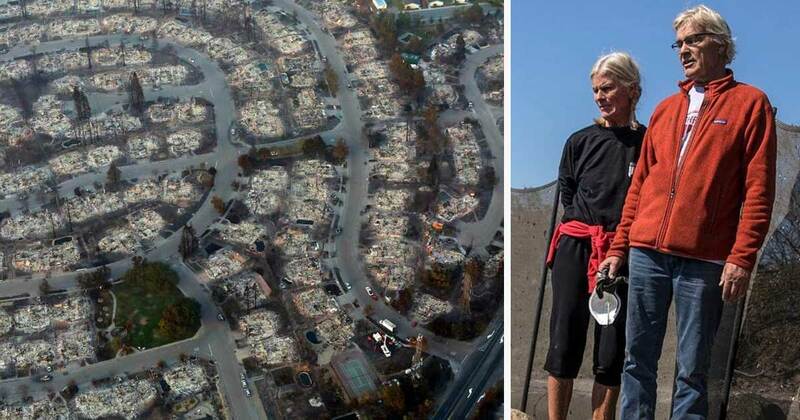 The Tubbs fire that rendered the Pascoes and their neighbors homeless raged for approximately 5 miles, stopping only once it met the ocean. It devoured entire neighborhoods in its path. Though Jan and John have to rebuild everything they ever worked for, they are just thankful to be alive, to have each other and to have their children. Their heartache is similar to what thousands of families across the state are feeling right now, and with fires still blazing, it doesn’t appear that the devastation is quite over. If you have family or friends in California, are in California or are just a concerned citizen, please send your thoughts to the Golden State. They need it more than ever right now.